This year, Microsoft pushed users on taking advantage of its offer to upgrade their PCs to Windows 10 for free. That meant the company used a variety of tactics to get people to install an updater and run it to replace their old operating systems with the new one. Overall, Microsoft got the balance right between being too aggressive and getting users to upgrade, Microsoft Chief Marketing Officer Chris Capossela said in a Windows Weekly interview. But he did admit that Microsoft stepped out of line at one point with a change that confused and dismayed a number of users. "There was one particular moment ... where the red 'x' in the dialog box, which typically means, you know, 'cancel,' didn’t mean cancel," he said. "And within a couple of hours of that hitting the world, with the listening systems we have, we knew that we had gone too far. "And then, of course, it takes us some time to roll out the update that changed that behavior," he added. "And those two weeks were pretty painful, and clearly a lowlight for us. And we learned a lot from it, obviously." The admission is a bit late, considering that the update dialog Capossela referred to appeared in late May. While Microsoft may have been working on an update to change the behavior, it didn't say anything about the issue at the time. By now, though, it's something of a moot point. 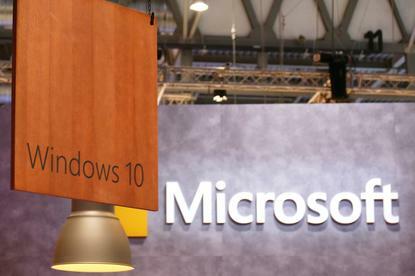 Microsoft's hyper-aggressive Windows 10 push is over, along with the company's offer of a free upgrade.